Imran Gulamhuseinwala is one of the world’s leading experts in open banking. 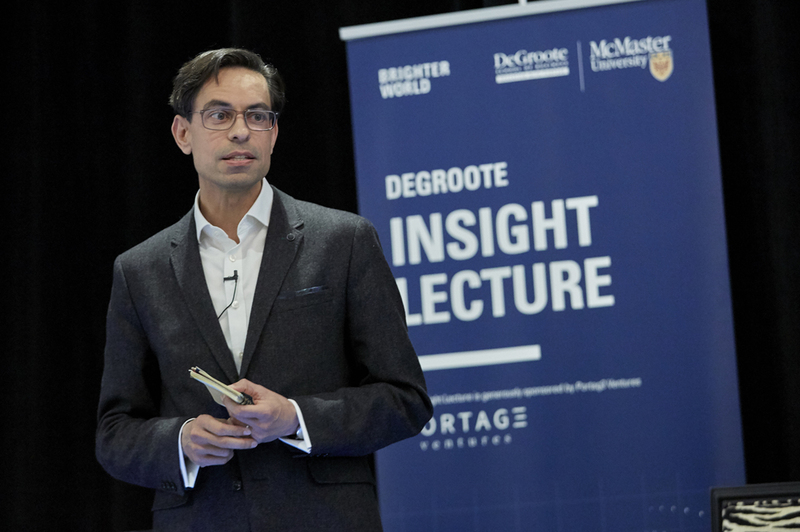 Gulamhuseinwala, who serves as Implementation Trustee for the Open Banking Implementation Entity (UK), was the keynote speaker at Thursday’s DeGroote Insight Lecture at the St. Regis Toronto. The relatively new field of open banking involves the practice of third-party developers building applications and services outside major financial institutions. One of the primary aims is to use open-source technology to achieve greater transparency in finance. In his current role, Gulamhuseinwala has oversight and responsibility for Open Banking’s common technical standards underpinning the Competition and Market Authority’s (CMA) open banking initiative. Prior to joining Open Banking, he remained active in financial technology as both an investor and a startup founder. 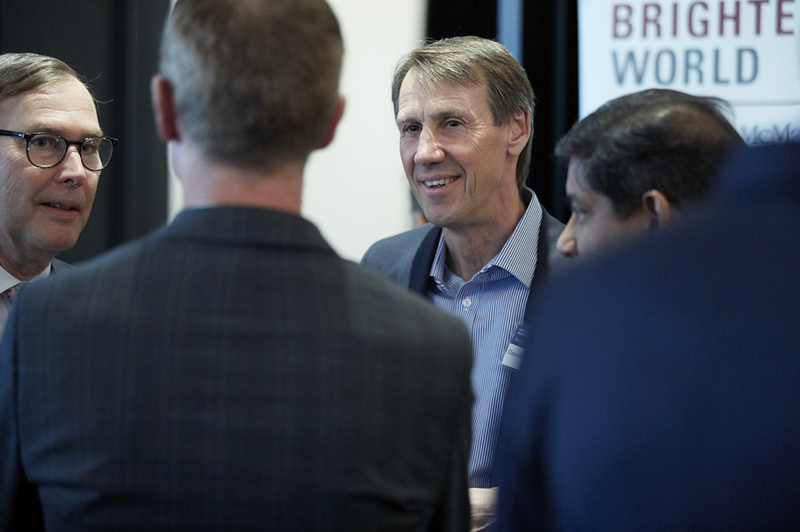 He recently earned Order of the British Empire (OBE) status for his contribution to the financial services sector. 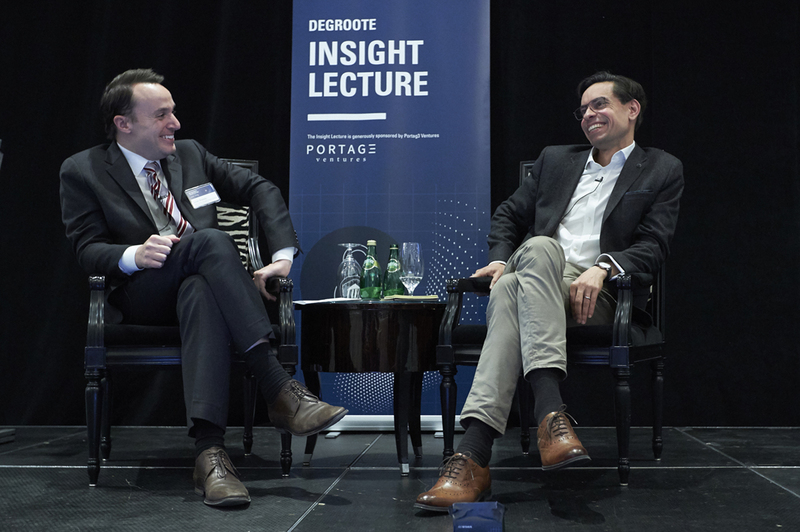 The sold-out Insight Lecture was supported with a philanthropic gift from Adam Felesky, BA & BEng ’99, President of Portag3 Ventures. 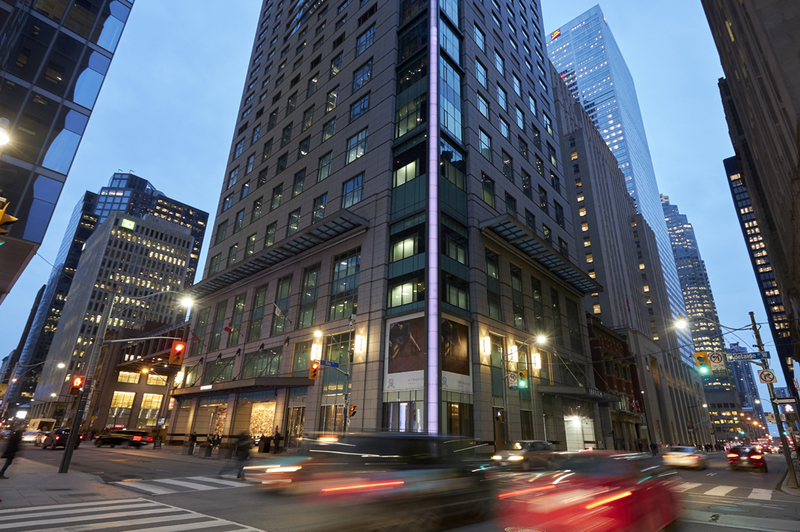 Below, relive the excitement and energy at the St. Regis Toronto. Photos courtesy of Mike Lalich. 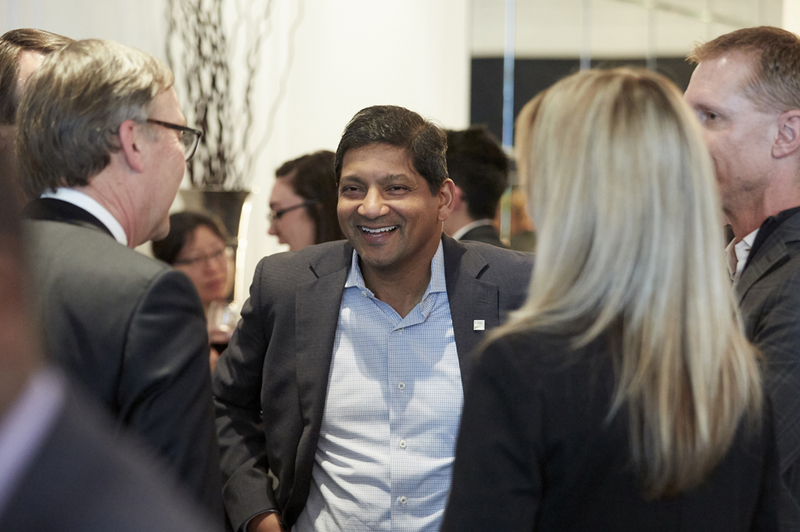 Toronto’s financial community converged at the St. Regis on Thursday night for a fireside chat with Imran Gulamhuseinwala, Implementation Trustee for Open Banking in the UK. 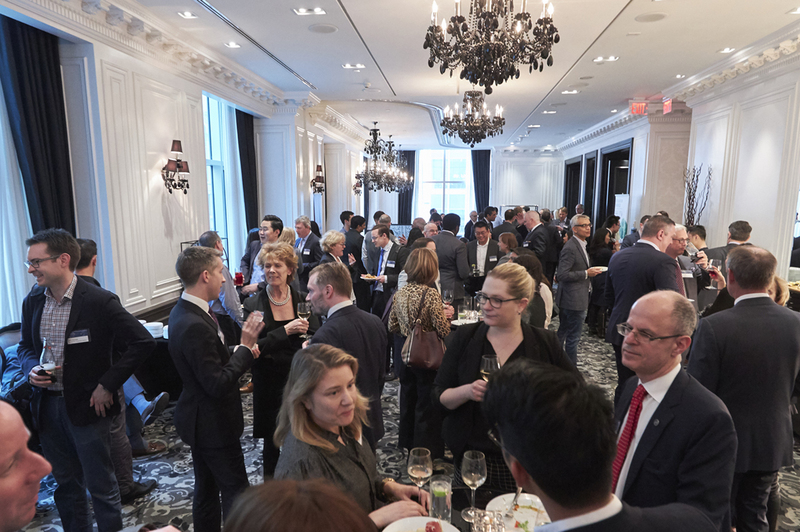 To start the evening, guests had a chance to connect and discuss one of 2019’s hottest topics, open banking. Deepak Khandelwal, CIBC, networks with colleagues before the main event. Fintech talk. David Williamson ’83 in conversation with John Armstrong, KPMG, Mike Boluch ’92 ’94, CIBC and Deepak Khandelwal, CIBC. 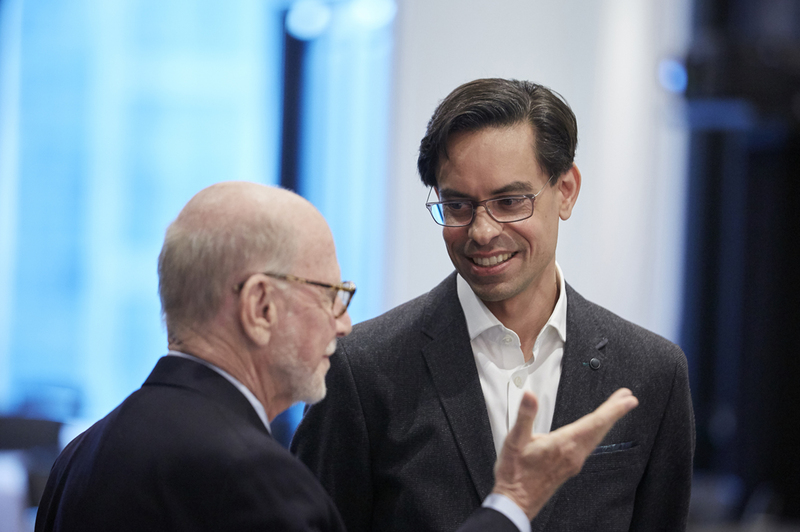 Len Waverman, Dean, DeGroote School of Business, and Imran Gulamhuseinwala, Implementation Trustee for Open Banking (UK). Imran Gulamhuseinwala presented on the future of open banking and the evolution of fintech. Attendees listened in rapt attention before having the opportunity to ask questions of their own. 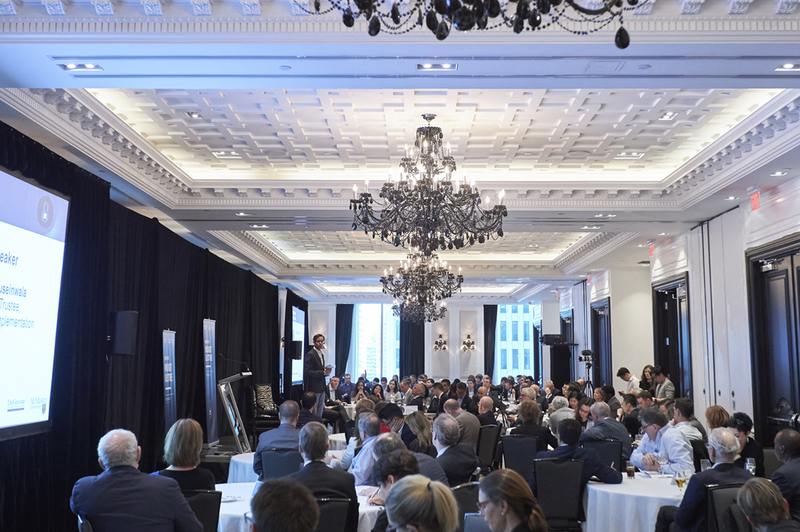 The audience had a chance to hear Julien Brazeau, Senior Director and Special Advisor – Financial Institutions, Finance Canada, prompt Imran Gulamhuseinwala with burning questions on the revolution of open banking. 2 thoughts on "In photos: Open banking expert Imran Gulamhuseinwala tackles the future of fintech at Insight Lecture"
Hey team, would love to know some of the questions asked and what the responses were from Imram. Looking forward to hearing from the team. Hi Martin – thank you for your post. Unfortunately we didn’t have the opportunity to transcribe Imran’s responses during the moderated discussion. If you attended the event you should have received a follow up email with links with additional content from Imran’s past presentations. If not, please email me [rabakk@mcmaster.ca] and I will be happy to share with you.